With customers being more connected than ever in today’s travel digital marketing age, living in the time of online reviews, travel bloggers and social media, it’s never been easier for someone to find out exactly what goings on their holiday will entail. And so it should be! A company website, Facebook page or Tripadvisor profile should all provide honest portrayals of what holidaymakers and travellers can expect from their trips. That’s why, here at The Island, we pride ourselves on developing brands and campaigns that shine a light on just how great our clients are. We’ve been lucky enough to work our travel digital marketing magic on a diverse range of travel specialist clients over the years. The Island has worked for Ebookers, Expedia, Contiki, Anderson Tours and Alberta to name but a few, and aside from the strong relationships that we forged with each client, there was one other consistent element throughout all our work. Our tried and tested model – Brand, Build, Business. We found it fits perfectly within the travel marketing sector, as each pillar is as crucial as the last. A travel company’s brand is arguably it’s most valuable, visceral asset and we’ve had the opportunity to create some truly stunning brands. Next comes Build, a crucial point-winner when it comes to the travel-savvy demographic that a lot of our clients cater to. People want to be able to navigate easily to exactly where they want to go to find out about their holiday. And finally Business. As we always have, we provide key insights into site traffic and implement scrupulously maintained social media platforms filled with engaging content to keep our clients at the forefront of the customers mind. A mere few weeks after the site went live, positive feedback started pouring in, supported by behavioural metrics that had shot through the roof. Enquiry rates went up by over 50%, bounce rate reduced by over 10% and site session duration rose by another 10%. 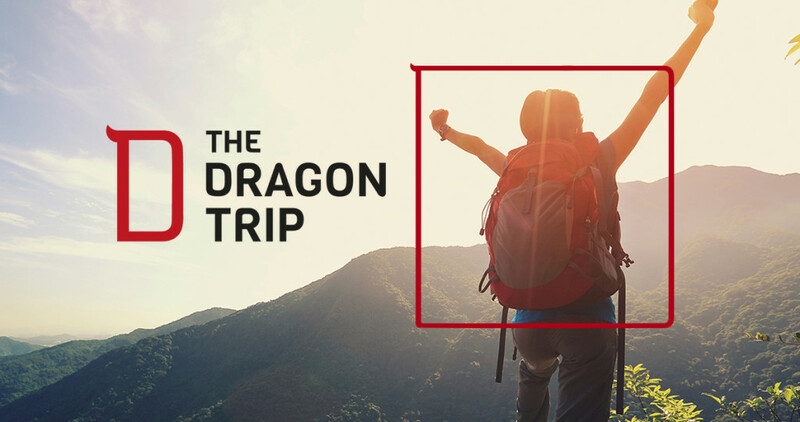 With the Dragon Trip team demolishing their top November sales goal, we can’t wait to see what’s in store for them in the January and February peak season once they start getting high intent traffic from Google due to their new site optimisations implemented by us. As if that wasn’t enough, they’ve been nominated for “Best Educational Product” at the British Youth Travel Awards! Ground-up design of a completely new brand geared towards capturing the energy, excitement and reputation the Ocean Holidays are known for. Designs for online and offline marketing collateral including magazines and brochures. To find out more about our work with Ocean Holidays, click here. Different sectors have a tendency to lend preference to one of either Brand, Build or Business, it’s why we’re specialists in all three. When it comes to travel digital marketing, the energy of prospective holidays and the quality of the offering tend to shine through most in the Brand branch of many company strategies, but whatever sector your company may be in, at The Island, we’ll make it our mission to ensure that your Brand and your Build and Business work hard for you.